This article was originally published in the North Island Gazette January 19, 2008. At the end of Holberg Inlet in Quatsino Sound lies the little town of Holberg. With a population that ranges between 100 and 200 people, Holberg lies within the traditional territory of the Quatsino First Nation. Holderg was initially established in 1895 by a group of Danish homesteaders. It was named for the Danish writer, playwright, poet, and historian, Ludwig Holberg, baron of Holberg (December 3, 1684 - January 28, 1754). Holberg is known as the father of Danish literature. 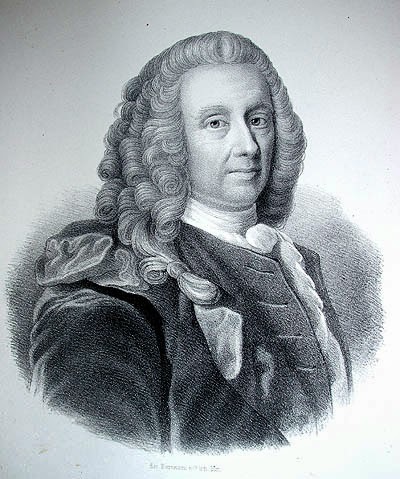 Prior to his writings, Danish was not generally used as a language of the upper classes in Denmark, and therefore prior to his time there was no body of Danish literature. A series of trails, some constructed with felled trees that formed criss-crossing boardwalks, connected Holberg with San Josef Bay and Cape Scott. The trails were well used, with a number of settlers building their homesteads along the trail. In 1907, disillusioned settlers from the Cape Scott Colony started moving to Holberg. Holberg was serviced for a period of time by the motor vessel the m.v. Cape Scott, built by members of the Cape Scott community and captained by Captain Henry Petersen, who lived in the area of Sea Otter Cove. In 1913 the Dominion Government Telegraph Service line connected Shushartie, Fisherman's Bay, Cape Scott, San Josef, Holberg, and Coal Harbour. In this year a wharf was also completed in Holberg Inlet which was a half mile in length, necessary to deal with the large and muddy foreshore area. Logging played an important role in Holberg, as the forests in the area traditionally provided the wood for the Port Alice pulp mill. In 1951 Spry Camp, the floating logging camp at Port Alice, was towed to Holberg where it joined a number of older float homes. For a time Holberg was known as the largest floating logging camp in the world. One day in the early 1950s, Holberg settlers were surprised to see a party of people land a boat and disappear into the bush. Not long afterward it became apparent that there was work being done high up on one of the mountains in the area. 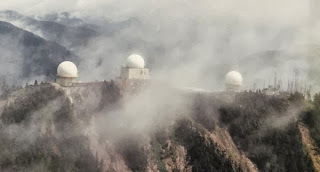 At some point local people were told if they traveled to Vancouver they were not to tell anyone about the strange looking domes that had been constructed on the mountainside. The site became one station in the Pine Tree Line, a long range radar defense system managed cooperatively by the Canadians and Americans, built to protect North America. The radar station was built atop the summit of 2200 ft Mount Brandes, with the base support camp lower down in the valley, four miles from the original Holberg townsite. The Royal Canadian Air Force Station Holberg reported through the 5th Air Squadron in Vancouver. Men and their families brought in to work on the construction of the base lived in homes in the community of Holberg. Construction took place from 1950 to 1954, and the site was operational by April 1954. In 1956 the base became known as the 53rd Aircraft Control and Warning Squadron. The site eventually closed in January 1991.